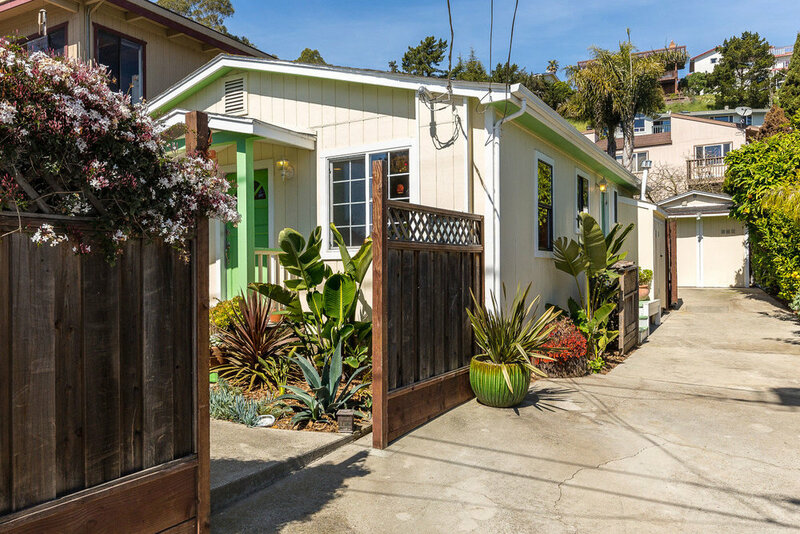 Well maintained lower westside 2 bedroom, 1 bathroom bungalow close to Highway 1, Swift Street Courtyard, Natural Bridges, Wilder Ranch, and West Cliff. 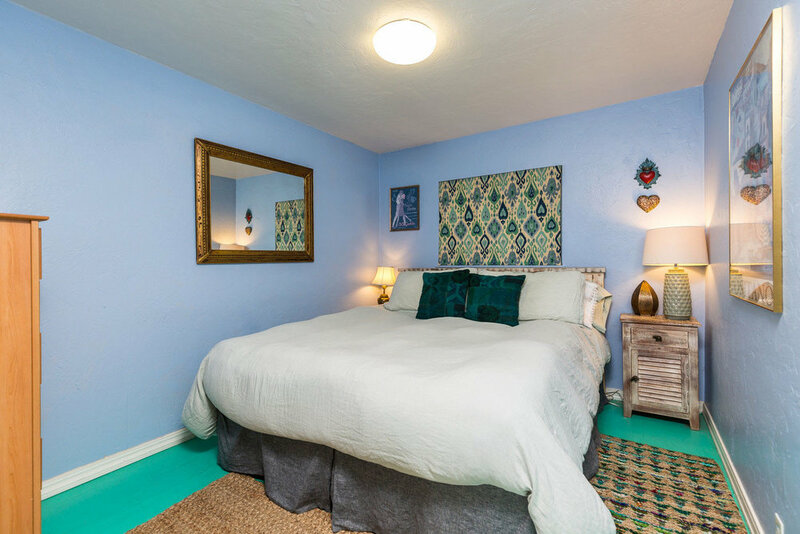 Listed by Sam Bird-Robinson, Santa Cruz Realtor, of Sereno Group. 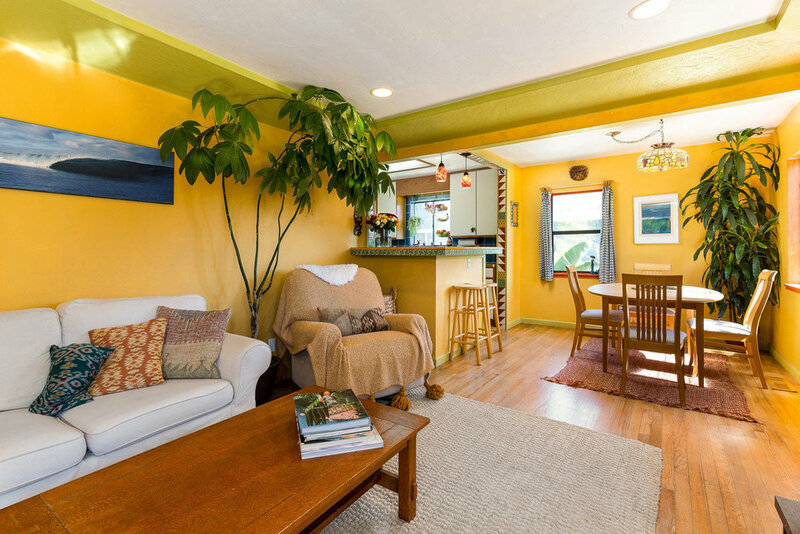 Lower Westside Beach Bungalow in an outstanding location near Westcliff Dr., minutes from Wilder Ranch and the North Coast. Just around the corner from the Swift St. Courtyard's eateries, breweries, boutiques, and coffee shops. 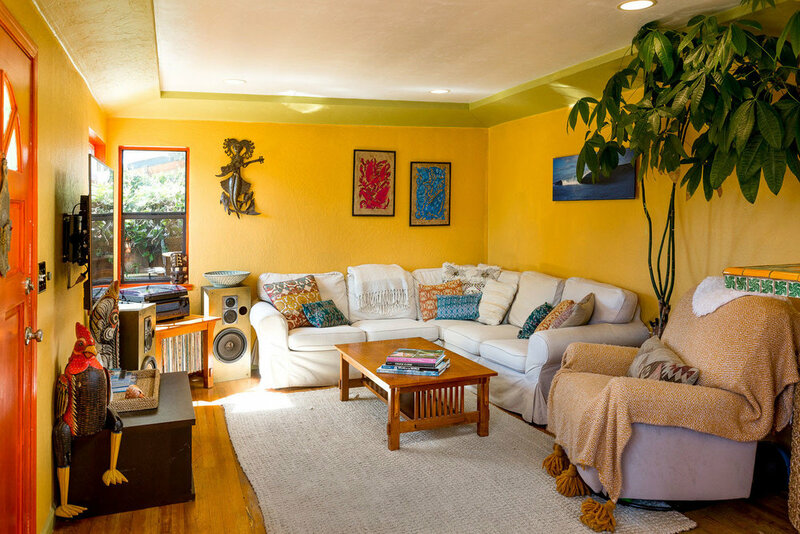 Abundant natural light throughout the open living spaces. 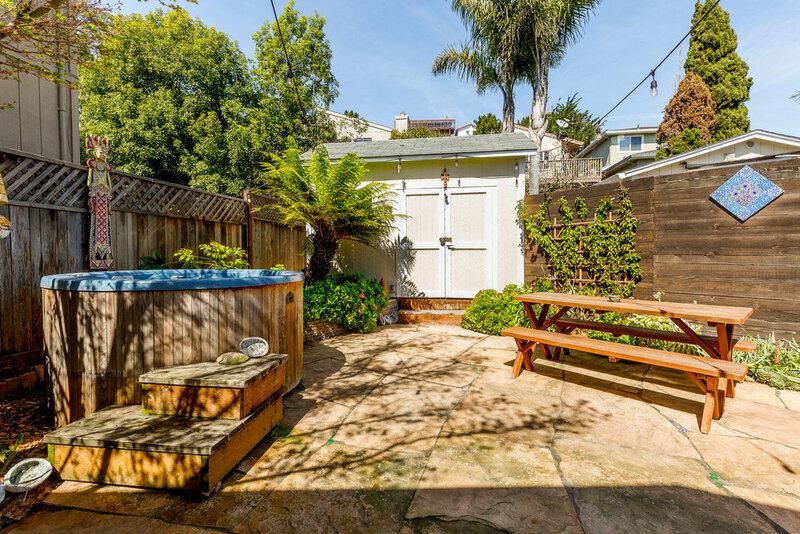 Lots of privacy in the intimate front courtyard and private backyard, complete with surf shower and jacuzzi tub. Detached one-car garage is finished for flexible use as an office, art space or recording studio. This is a perfect opportunity for a first-time homebuyer or someone looking for an easy second home within biking distance to everything on the Lower Westside!